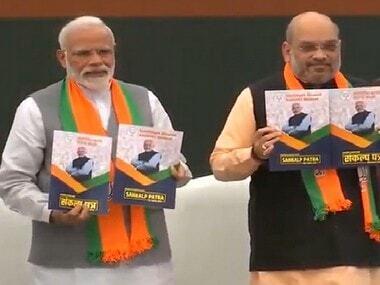 If you want the big takeaway from the Bharatiya Janata Party's (BJP) manifesto for the 2019 general elections to Lok Sabha, it is this: while Congress targets the absolute poor with big, quantifiable handouts, the BJP targets a huge layer just above them by throwing some big state spending and/or loans like a rope with a hidden subtext: "There is a lot out here, and it is your job to catch up." 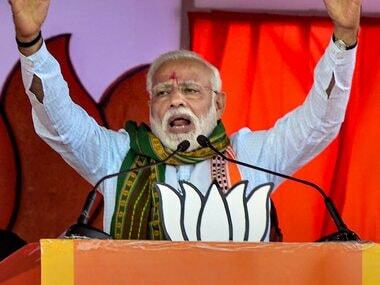 Prime Minister Narendra Modi spoke of "antyoday" (the rise of the last) accompanying rashtrawad (nationalism) as his party's inspiration and "sushasan" (good governance) as the third lynchpin in its policy. But, if you look beyond the slogans and an impressive rain of data by his colleagues on everything from wellness centres to new educational institutions at the launch of the manifesto, the real deal is that there is a more-of-the-same flavour in Modi's to-do list. There are not enough quantifiable goals to hold the government accountable, though the prime minister did speak of accountability in his speech. 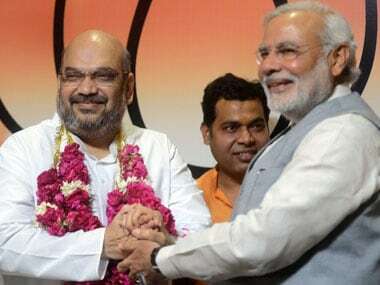 The catch lies in how we translate the word "sankalp" (pledge) in BJP's description of the manifesto as a "sankalp patra" as against the "ghoshna" (announcement) patra of other parties. The nuance lies in the fact that a pledge is not necessarily a promise (vachan). Finance Minister Arun Jaitley spoke of "continuing governance" of the Modi era that began in 2014 but the knives are out from the adversarial media that gives substantial shades of underperformance in BJP's progress report on key issues such as black money and unemployment compared with its 2014 manifesto. The 2019 manifesto, like the one five years ago, is full of generalities that have an eel-like slipperiness in terms of how to measure the new goals. No doubt, the BJP ended some of the UPA era mess on coal, spectrum and banking, but they seem be a hazy past as elections loom. This much is clear: the BJP talks big in terms of infrastructure with Rs 100 lakh crore planned in over four years — given that the current spending is close to Rs 6 lakh crore. But the run rate is close to what it has been already in the past five years. Presumably, the planned surge would include a big investment number intended for agriculture. All this presupposes that aspiration drives growth with some mild doses of empowerment in the bottom rungs of the growth ladder. This is distinct from the direct enrichment of the poorest of the poor promised by the Congress party's NYAY (universal basic income) plan. In BJP-speak, big numbers shout "growth" while the fine print for farmers and the poor whispers "tokenism". Let us do some number talk. BJP promises farm investments worth Rs 25 lakh crore over the next five years on farm/rural productivity. The number sounds big, when you consider that Reserve Bank of India figures showed that farm credit totalled only Rs 1.85 lakh crore in 2017-18. Where is the road map for the quantum leap? Where will the funds come from? All indications based on major initiatives point not to direct help for farmers but in the industrial ecosystem that would use or trade in their produce, such as food processing units, warehouses, e-markets and food parks. Farm loans of up to Rs 1 lakh will be interest-free. If you consider that in the current regime farm loans are effectively priced at only 4 percent, that means not more than Rs 4,000 per loan, and on a monthly basis, the gains, even if there are three crops per year, is Rs 1,000, adding to the Rs 500 per month support already promised in the PM-KISAN scheme. Mind you, there are no loan waivers on the table. That should warm the hearts of fiscal purists, but this is a brave amount of tokenism in a year when the rival group promises four times that much in a backdrop of unemployment and an agrarian crisis in a counter-narrative painted by the Congress. Remember, less than 40 percent percent of farm loans actually reach the small farmer, as per RBI data. Jaitley speaks of a sustainable 8 percent GDP growth ahead to make India a 5-trillion-dollar economy by 2025 if his party returns to power, and this would assume — given his party's keenness to rein in the fiscal deficit — that various kinds of investments will pour in from outside of the government. A lot now hinges on that. A planned doubling of national highways over the next five years and a huge dose of farm sector investment will certainly fuel spending-driven growth, but unlike the Congress, the BJP believes in asset-spending rather than consumption spending as its lynchpin. That should help raise cheers in Mumbai's hallowed chambers of commerce but is that good enough to garner hundreds of millions of votes? BJP's electoral confidence stems probably from its assertive right-wing positions on everything from national security, patriotic appeals and hardball citizenship rules in Assam, with some targeted talk to woo the wannabe segment that rests above those who do not get two square meals a day. 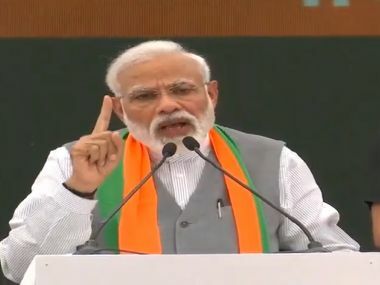 Modi spoke of piped water to homes to help "mother and sisters" — clearly showing the next steps from the Ujjwala-based model of providing cooking gas connections and the Swachh Bharat toilet-building plan that were among high-profile populist schemes in the 2014-2019 period. This combined with a reiterated (and questionable) promise to ensure reservation for women in the Parliament clearly woos women as an emerging vote bank. This is also in line with the "Beti Bachao, Beti Padhao"(save the daughter, educate the daughter) slogan as well. "Main dharti ka insaan hoon. Isliye badlaav ko nazdeeki se dekh paata hoon" (I am a man from the ground. I am therefore able to see change from close quarters), Modi said at the manifesto launch, as he spoke of how his government's plan to build homes for the poor would mean the beneficiaries on their own reaching out to buy chairs and curtains. 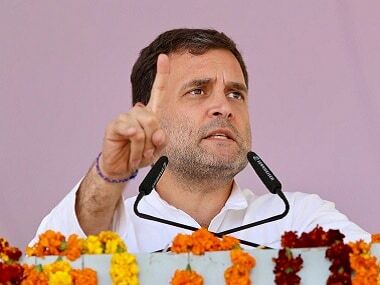 This 50-50 model of spending-driven walk-out-of-poverty sharply contrasts Congress president Rahul Gandhi's Rs 6,000-per-month helicopter drop plan to make the poorest spend for a "remonetisation"-driven growth. Modi speaks of "Gaon, Gareeb and Kisan" (the village, the poor and the farmer) but his simultaneous talk of India leading the 21st Century shows that the poor are invited in the party, but there is no cashback plan for an Uber ride to the sky. As for unemployment, beyond the MUDRA loans that are already on the table, the bet has shifted to the farm sector. It seems that Congress' promises gave a wake-up call to the BJP to paint a rural mural.